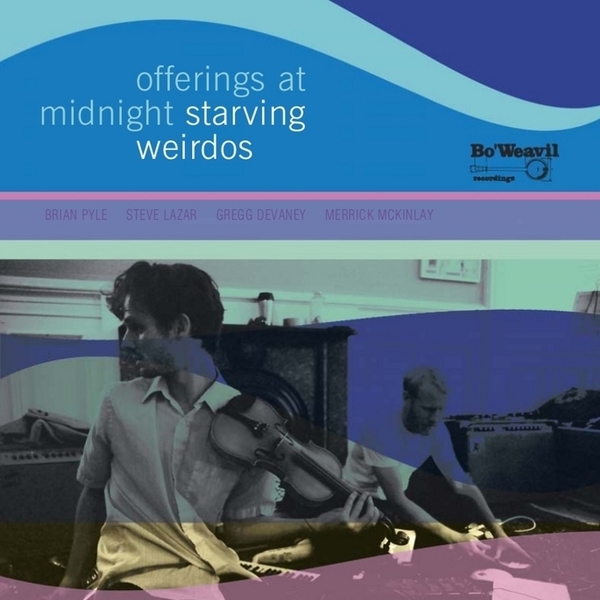 An exclusive digital supplement to Bo Weavil's presentation of the new Starving Weirdos album Into An Energy, Offerings At Midnight is a specially priced five-track bonus session, capturing more avant-drone excursions from Brian Pyle and Merrick McKinlay. There's some great stuff on here too, with the title track marking itself out as especially alluring, steeped in a strung-out, middle-distance strangeness, populated by extreme violin glissandos and heavy detuning all round. More structured, rhythmic sounds are on offer too, and more full-blooded works like 'Jumping Over Fire' and the trance-like orientalisms of 'Ritual Prayer' stand out in particular.